The newsletter of the accounting profession, INSIDE Public Accounting (IPA), has announced that a Stockton CPA firm, Bowman & Company, LLP, has received two national designations. 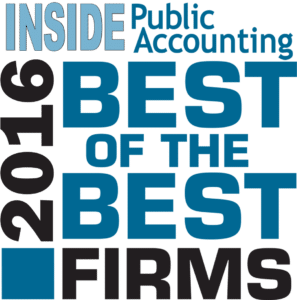 They have been recognized as one of 2016 Best of the Best Accounting Firms, and ranked amongst the nation’s 300 largest accounting firms. The Best of the Best recognition honors 50 CPA firms across the country for their overall superior financial and operational performance on more than 70 criteria. The right combination of planning, strategy and execution distinguish the Best of the Best firms from amongst more than 540 firms. IPA consider a wide variety of metrics to evaluate who is a Best of the Best firm. Bowman has achieved this distinction in both 2015 and 2016. 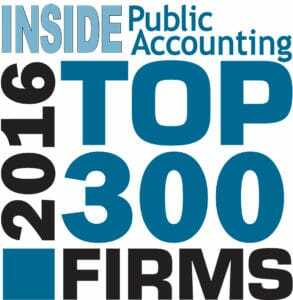 Bowman is also ranked in the nation’s 300 largest accounting firms again in 2016. The IPA 300 is well known as one of the most thorough, complete and accurate sets of rankings and trends in the profession. The rankings and accompanying analysis create a comprehensive picture of the state of the accounting profession today. Bowman & Company has been serving a diverse group of clients over its long history, which began in 1949. The firm has seven partners and employs 35 accountants and support staff. Acknowledged as experts in a number of fields, many of their clients have long histories with the firm. They work with family-owned businesses, high net worth individuals, agricultural interests, wineries, vineyard owners, real estate owners, affordable housing developers, construction contractors, nonprofit organizations and employee benefit plans. Previous post: Asset Protection: Is Your Real Estate Safe? Could the U.S. Supreme Court Decision in Wayfair Open Pandora’s Box Across the Globe?